Treatex Cedar Oil penetrates deeply into timber surfaces and in a similar way to bark, attaches to the wood capillaries providing protection against extreme climate conditions. It is manufactured on a base of natural sustainable raw material including sunflower oil, safflower oil and soybean oil. 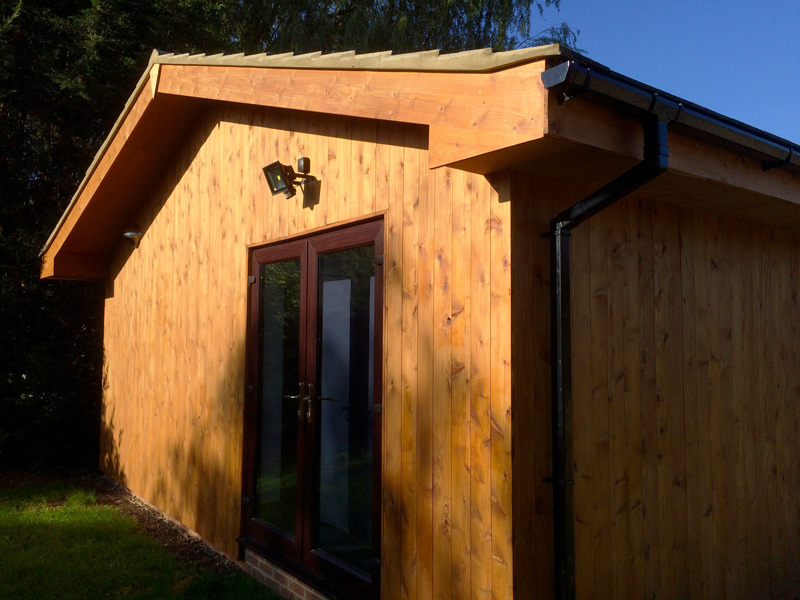 Treatex Cedar Oil is designed for use on timbers like cedar and larch. Click one of the images below to view full full size. 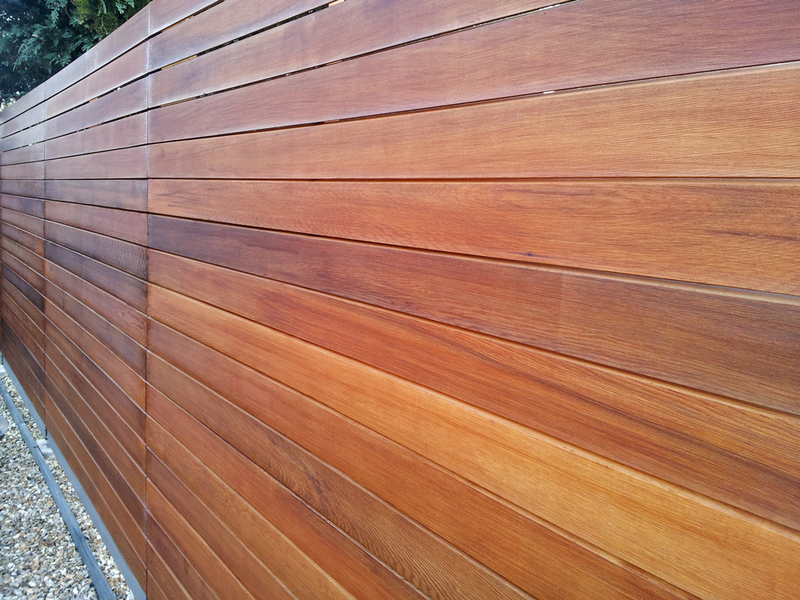 Treatex Cedar Oil works best on unfinished timber. Previous finishes which stop Treatex Cedar Oil penetrating into the timber (e.g. paint and other ‘closed’ finishes) must be fully removed prior to application. Previous porous finishes should be lightly sanded before overcoating. When overcoating a previously finished surface, a trial application is essential. Flaking or peeling finishes must be fully removed prior to application. Ensure the timber is dry and free from possible contaminates e.g. algae, grease, dirt, dust etc. Timbers susceptible to decay, mould and fungi should be treated first with a suitable preservative. We advise that when using Treatex Cedar Oil, sufficient product is purchased to complete the whole project and when more than one tin is required it is advisable to mix them together before use. Timber must have a moisture content below 18%. Temperature must be greater than 8º𝖼 during application and drying. We strongly recommend a trial application prior to starting the project.